NTS provides excellent end-to-end product lifecycle support for manufacturers in numerous industries. Not only do we back you with the design of superior products that are rigorously tested and properly certified, we can manage your supply chain to ensure that it’s just as effective, efficient and reliable as your products. These services work together to enhance overall quality control. Product audits identify and document nonconforming products; looking for patterns that will drive the development of countermeasures to prevent the issue from recurring. Process audits examine the construction of a product or component and document noncompliance issues, such as safety violations and incorrect machinery settings. Source inspections are vital to the aerospace and aviation industries, as they identify nonconforming products and minimize risk at all stages of the supply chain. NTS is a full-service source inspection company that provides conformity inspections, FAI (first article inspections), test witnessing and a range of other services. 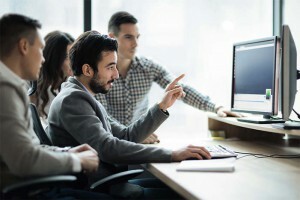 We help OEMs and their supplier partners run leaner operations that are less prone to variance and better positioned to meet the challenges of future growth. 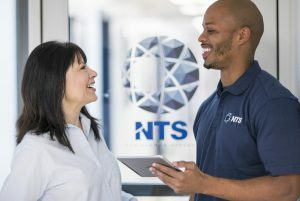 NTS works directly with your partners to identify potential concerns and craft improvement strategies based on proven lean management/Six Sigma principles. Our approach is customized to the needs of each supplier, and it focuses on delivering value through improved quality management. With an emphasis on trust and communication, suppliers are encouraged to refine their internal systems to meet your requirements.